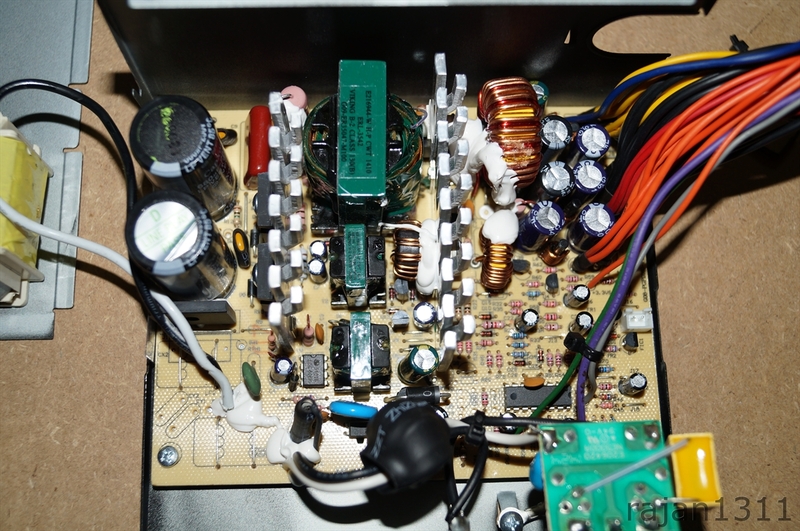 So lets take apart the casing and take a look inside and take a look at the components used in this PSU. First impressions, the power supply is made by Channel Well Technologies(CWT) and are well known in the world of power supplies. 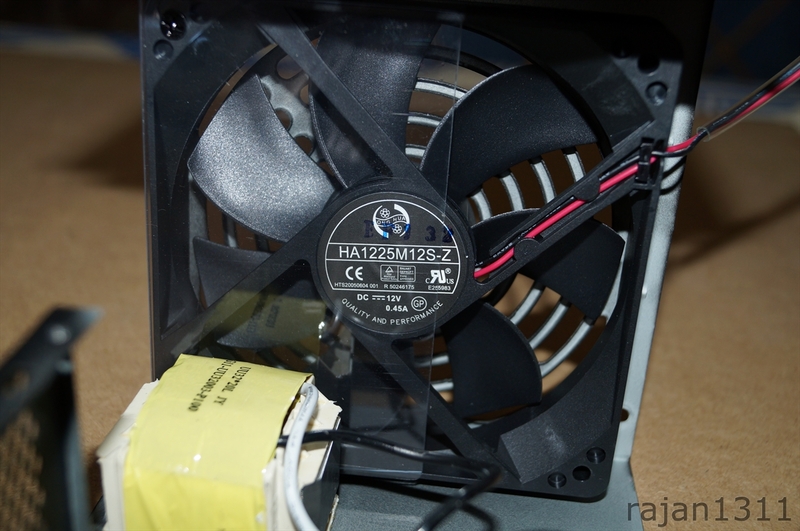 The fan used is a 7 blade Hong hua 120mm sleeve bearing fan (HA1223M12S-Z). Next to it, we see a large coil used to improve the power factor correction in this PSU, so clearly, it uses passive power factor correction. Now lets take a closer look at the various parts of the PSU.